The vast majority of our golfers who play at Heritage Christian School join the program with little or no experience playing the game. Our program teaches fundamentals such as stance, grip, and swing, along with core elements of the game such as honesty, sportsmanship, and integrity. At Heritage Christian School, a golf club for boys and girls in grades 4-6 will begin in late August of 2019. Both our boys and girls basketball teams are coached by Jamey McKenzie II (Coach Mac), who is entering his 21st year of coaching. His coaching career includes stops at Fairless, Tuslaw, Canton South, Perry, and Heritage Christian. Coach Mac brings a wealth of knowledge and experience to our program. He has been part of several league championship teams and has coached or played on Division II and III championship teams. Entering his 4th season coaching at Heritage Christian, Coach Mac has been instrumental in bringing much success to our program. In addition to winning tournament games in different seasons, his 2017-2018 team posted the school’s best record since 2009. Boys Basketball- Students in grades 4-6 are eligible. At this level, skill work, terminology, fundamentals, and team work are the emphasis. This past season, the program included 10 boys who played in the Massillon League against 5th-6th grade competition. The Conquerors showed great improvement as the season progressed, and won their first tournament game. Girls Basketball- Students in grades 4-6 are eligible. Like the boys’ program, Coach Mac teaches the girls terminology, fundamentals, and team work. This past season, 15 girls participated. Although the girls did not play in a league, they did show great improvement as they gained valuable experience. 2019-2020 Season- The season will begin in early November 2019. Coach Mac is working on a schedule for both the boys and girls teams which will include opponents from various Christian school middle schools in Stark and surrounding counties. Coach Mac also plans to soon announce an off season workout schedule which will begin the week of April 22-26. Coach Mark Meager heads up the Heritage Christian School bowling team. Parents are responsible for their child’s transportation. Cost is covered by activity fees. Therefore participation is contingent upon payment of 75% or more of activity fee. Coaches Karen Morrish and KiOnna Meager lead Heritage Christian School’s edition of Girls on the Run. Open to girls in grades 3-6, Girls on the Run is a program that inspires girls of all backgrounds to come together to be joyful, healthy, and confident. The girls participate in a 12 week program which combines fun and an experience-based curriculum that integrates running. The program is designed to increase confidence with a new outlook on teamwork, friendship, health, and positivity towards themselves and others. A fall 2019 season schedule will be announced at a later date. Please join us for this unique opportunity to play up to 90 holes of golf in one day while raising needed funds for Heritage Christian School. Breakfast & Registration 6: 15- 7:00 A.M. Golf from 7:00 A.M. until 8:20 P.M. Obtain a minimum of $ 1,000 in sponsorships (from friends, family, businesses, churches, personal funds, etc.) for your participation in the event on or before May 31, 2019. All proceeds will benefit Heritage Christian School. Come ready for a day of fast-paced golf, fun, food, and a lifetime of memories. Complete and return the Entry Form attached. Some students in the Alliance, Fairless, North Canton, Northwest, Plain and Perry school districts are now eligible to receive state-funded vouchers that will help pay for their tuition at a private school. 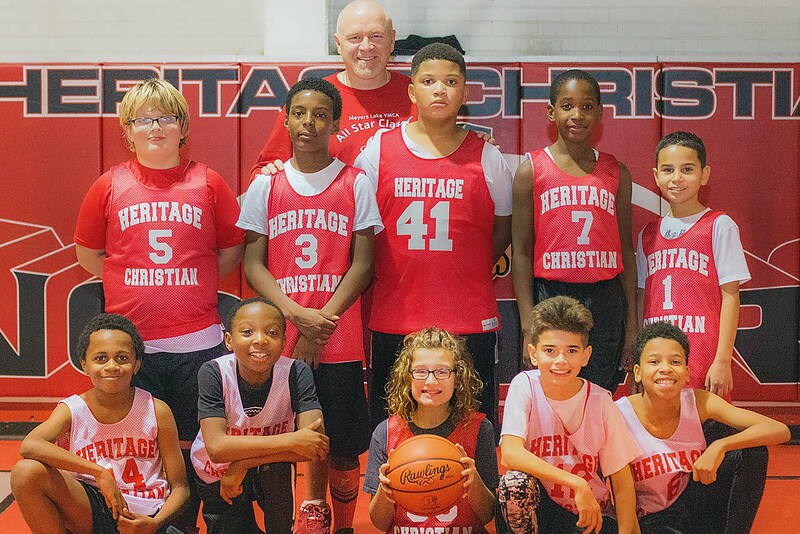 We have made it easier to make a financial donation to Heritage Christian School. With Text-To-Give, all you need to do to make your donation to the school,is text 330-892-9440 and type "hcs". It's that simple! We thank everyone for their financial support of our mission at Heritage Christian School, and hope that you will find our Text-To-Give an easy and convenient way to help our students.